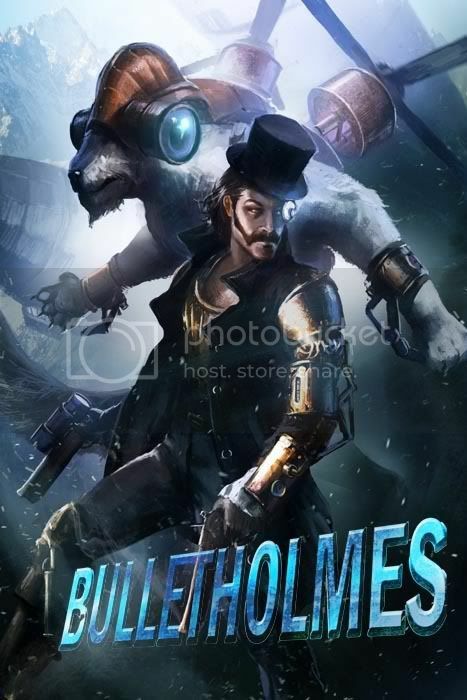 Steampunk is a sub-genre of science fiction, alternate history, and speculative fiction. century and often Victorian era Britain�that incorporates prominent elements of either science fiction or fantasy. Ok the assignment is removed so now it is just a SteamPunk Thread. Yay, I am in very much! OO. Steampunk. Will give it a try if i have the time. Thanks guys, I have been in contact with the mods so hopefully we can put this thread on top in here. Lol I just realized it is gonna be difficult to make an animation with a book cover but I am gonna let it be there, maybe some genious animater could come up with something. Anyway, I think this could be a good round. I am gonna do some sketches then try to model the scene, then perhaps if all works out well make it an illustration combo with 2d and 3d. Steampunk is an awesome theme though, regardless whether one do 3d or 2d. I have been into steam for some time now. I am glad you guys liked it, we did discuss it in the 3d thread Tomasis. Sweet, we got a sticky. Gonna start to think about some ideas, hope to see some more guys joining. This is a sweet topic. I'm definitely gonna do something. I have been pushing some thoughts back and forth this week, kind of like this idea beneath. Hope to see some wip stuff from you guys. Think I will focus on this hug scene in my final, not sure at all about the composition, just had to throw these ideas down into this thread. the father will have goggles and maybe a backpack, steam thingy. The woman will have headphones, hah steampowered. Maan I can't really draw these days. Perhaps I should write down my sketches, lol. ok let's get it on, you guys got til December 31. I think we can post the finished in this thread and then make a collection thread with all the finished works. matthew, i like your picture very much. Nice color choice. Regarding composition, there are little things to say about. I'd like to see the ship to be placed more above so you can see more city between the family and ship (it feels pretty empty at the top of image). Another thing is it that at right side bottom it needs something more substantial or bright so the reader could move his eyes to the family from the right bottom. Tomasis, wood shaped? lol, haha damn, I did make so many poor speedies back in the days haha. Yea you are right about the composition, good call. Right now I am mainly thinking about placement of characters in the scene. Look forward to see what you are scribbling on. Things to think about now*, platform, ballon zeppeling thingy, bridge pillar thingy behind the 3 main characters. Ah well a lot of stuff. anyway i post my scribble. I thought firstly of train, submarine looks more cool. i took background that reminds of old train station. there are different levels of bridges around hanged on walls .. metallic ones. the whole reminds a bit of titanic. more fine people are standing at higher level,on ground are poor folk with lots of stuffs, working people etc... maybe need to make submarine a bit different like futuristic. Ah yea I think I know which drawings you mean, they were pretty big those drawings... like 1 meter x 1.50meters I think. Ah well that should be a later question anyway. Btw Tomasis, I really like your idea there, looks cool. thanks I think your last image is very good. stable composition. Tomasis, I'd suggest "abyss" (or "deep", less fancy; Agatha would use "abyss", wouldn't she? hehe): Murder in the Abyss? Hmmmm... "Murder in the Abyss" is a song by a music group (group = In the Act of Violence), otherwise not a book name... Up for grabs! Am liking this thread/idea. Might decide to jump in (got some momentum going in the other project so am feeling optimistic). Meon, thanks for joining, wow awesome killer stuff you got there. Action, steam and everything. Love the title btw. Wow now I almost don't dare to post my crappy sketches lol. Freestyled a little, need to come up with better design for the zeppelin thingy. Thing I'd like to see: cool steam tech. A zeppelin with steam coming out of it isn't a bad idea, but it's always cool to see interesting technology given the steam treatment. Like a "steam powered chainsaw" or a "steam powered extending bridge" or a "steam powered transforming vehicle". Meon, very actionpacked, looks great! Sumaleth, Some real good ideas there, hah a steampowered chainsaw would be a blast. Perhaps a bicycle with steam could work? I have been thinking about to add that car I made from t_England's concept into my scene, I am still not solid down with placement in my scene as of yet though. Lakka, Yea I really need a lot more time myself, good thing we made deadline in December. Love your scene, gonna be cool to see what more that you are gonna add to your scene. Real interesting architecture btw, love it. Still placement and composition, need that before I think about objects in the scene. Hmm damn this was more difficult than I thought it would be. Think I will need all the time til December 31.
that I am gonna use for the purpose of my illustration. And then hopefully a final illustration. I believe this was a very difficult theme, hard to make steampunk interesting in a scene unless one focus on an object. Mostly I had problems with the theme working together with my title on the book, didn't wanna leave the initial idea with departure either. Anyway, we had a speed concept session this week where we modeled a steam punk train. Got the idea to use it for my bookcover here. So my illustration is both 2d and 3d, depicting a gigantic steam train on its departure. I guess more of a finished sketch, don't wanna render it more because my painting skills are not what they used to be lol. How's it going for you guys? I love your last work,.. very much steampunk feeling.. Your next last is not bad, but it seems that it is harder to paint in such more advanced perspective if I had not any 3d myself. im been pretty busy with other stuffs lately. i hope i will post something during weekend..as some parts of images or separate objects. i think i will finish the image before deadline. Colors are always hard so I work with Bw, to finalize details and composition then add colors. Here's the train model I used for my illustration, took me 5 hours to model, a speed concept session. Sure felt it was better than my sketchy zeppelin idea. ok ok let's have something easier next time as a theme. personally I think, more difficult theme, the better. It makes us better artists. Challenge us ourselves more. It can be compared to 3ch from steambot. I love steampunk theme btw. I think it is good for some to put cool works to their portfolios. Tomasis, Wow this looks awesome, real awesome. Gonna look forward to see your finished piece. Fick du tag i en praktik plats?